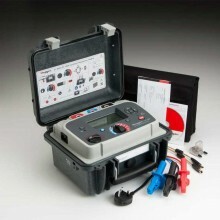 Includes: User guide CD, Power lead, 3 m leadset x 3, medium insulated clips, Shielded USB cable, PowerDB Lite software CD, Remote control indicator dongle. 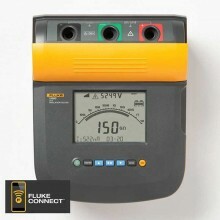 The S1-568 is a 5kV IRT with class leading noise rejection, four filter settings a full suite of test modes, ease of use, remote control operation and downloading/streaming data via USB cable and a Bluetooth interface for downloading and streaming data. 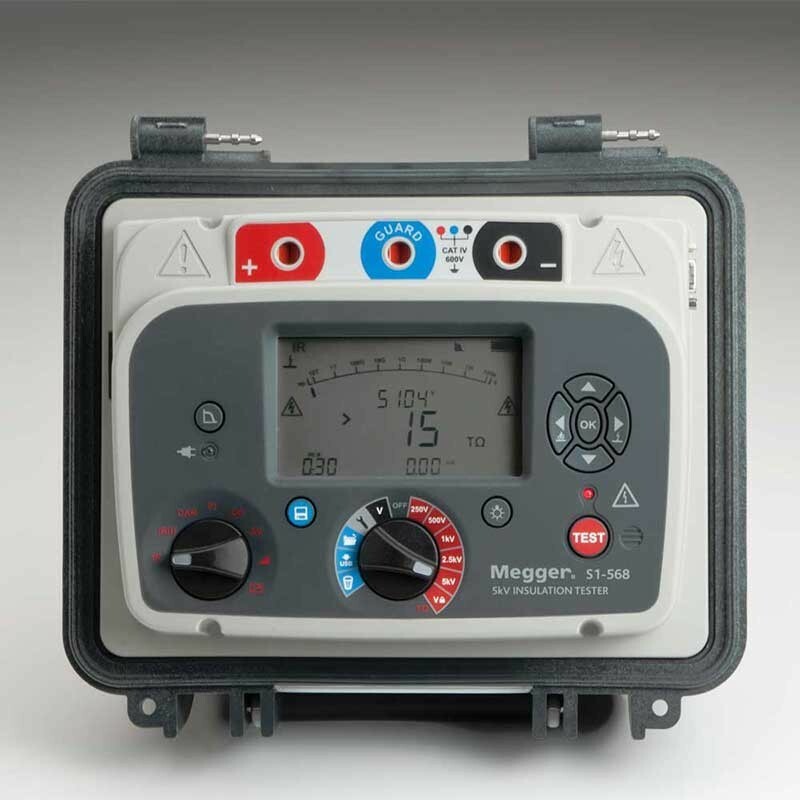 The Megger S1-568 is designed to work where other products don’t and provide the user with an unrivalled combination of performance, simplicity, toughness and reliability in a compact, lightweight package. The Megger S1-568 is designed to work where other products don’t and provide the user with an unrivalled combination of performance, simplicity, toughness and reliability in a compact, lightweight package. 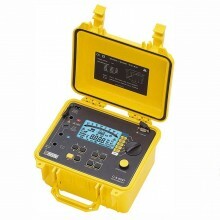 Proven ability to make accurate stable measurements in noisy environments such as 765 kV substations. 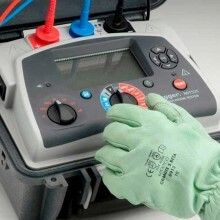 Rapid charge of capacitive loads such as HV power cables. Additional safety in high energy locations with remote operation. Always ready to test with fast charge Li-ion battery or a.c. source operation. Designed to survive harsh environments. 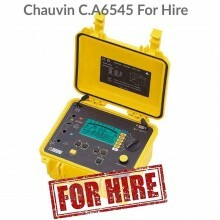 S1-568, S1-1068 90 - 264 V rms, 50/60 Hz, 100 A.
S1-1568 90 - 264 V rms, 50/60 Hz, 200 A.
S1-568 6 hours (typical) continuous testing at 5 kV with a 100 MΩ load. S1-1068 4.5 hours (typical) continuous testing at 10 kV with a 100 MΩ load. S1-1568 4.5 hours (typical) continuous testing at 15 kV with a 100 MΩ load. 30 min quick charge 1 hour operation at 5 kV with a 100 MΩ load. 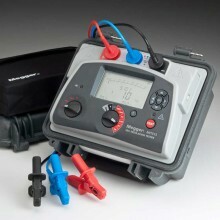 Charge Time 2.5 hours deep discharge, 2 hours normal discharge. 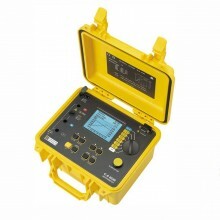 Test Voltage 250 V, 500 V, 1000 V, 2500 V, 5000 V, 10000 V, 15000 V.
5 kV to 15 kV in 25 V steps. 10 k to 35 TΩ @ 15 kV. Display Range Analogue 100 kΩ to 10 TΩ. 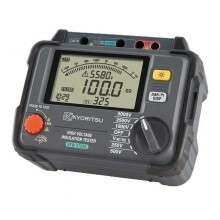 Display Range Digital 10 kΩ to 35 TΩ. Short Circuit/charge Current 6 mA. Insulation Test Alarm 100 kΩ to 10 GΩ. < 6.3 s/μF to 15 kV. < 4 s/μF to 15 kV. 15 kV to 50 V:< 3500 ms/μF. 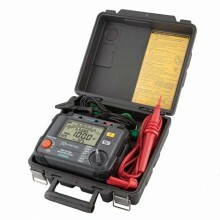 Capacitance Range With test voltage set above 500 V.
S1-1568: 10 nF to 50 μF. 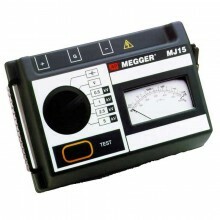 Capacitance Measurement With test voltage set above 500 V.
Capacitance Measurement Accuracy 10 nF to 10 μF : ±10% ±5 nF. Current Range 0.01 nA to 6 mA. Current Accuracy ±5% ±0.2 nA at all voltages (23 °C). 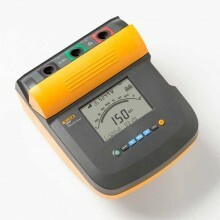 Voltmeter Range 30 V to 660 V ac or dc, 45Hz – 65Hz. Memory Capacity 1 hrs logging @ 5 sec intervals. Test Modes IR, IR(t), DAR, PI, SV, DD, ramp test. Interface USB type B (device), Bluetooth® Class 2. 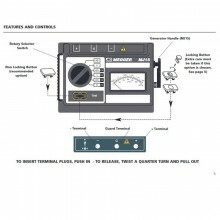 Real Time Output (V, I, R) readings at a rate of 1 Hz. Remote Control Remote control via USB cable only (requires RC dongle to be in position). Operating Temperature -20 °C to 50 °C. 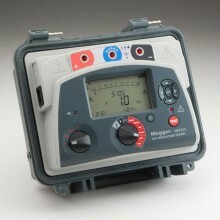 IP Rating IP65 (lid closed), IP40 (lid open). 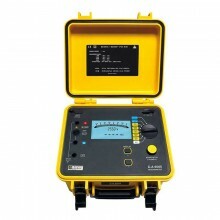 CATIV 1000 V to 4000 m (15 kV). 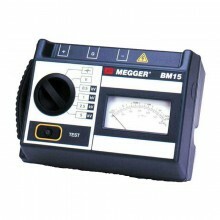 EMC Meets the requirements of IEC61326-1. S1-1568: 305 mm x 194 mm x 360 mm. 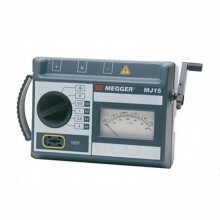 PDF Specifications of the Megger S1-568, S1-1068 & S1-1568 HV Diagnostic Insulation Testers.